Dementia Friendly Guilsfield is working towards raising awareness of the needs of people with dementia and their carers living in our community. 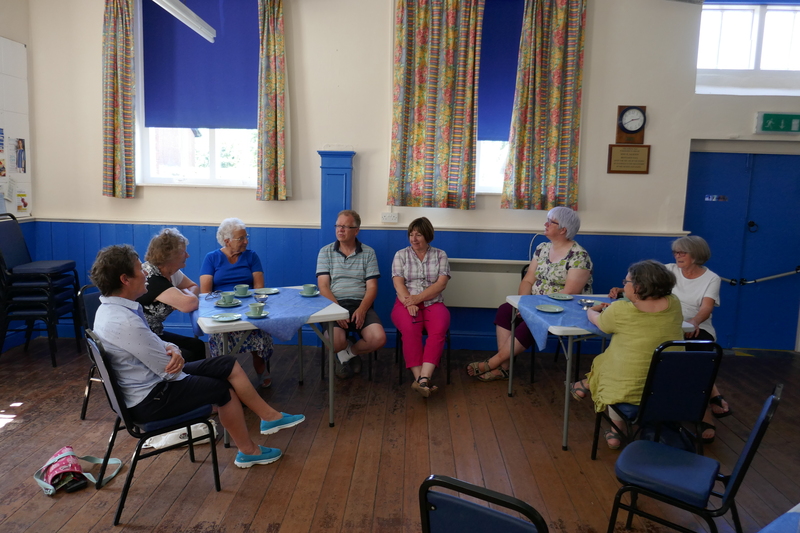 We hold a Forget-me-not Community Café (now called Guilsfield Gets Together) in the Old School every month with lovely cakes – come along and chat, everyone welcome. 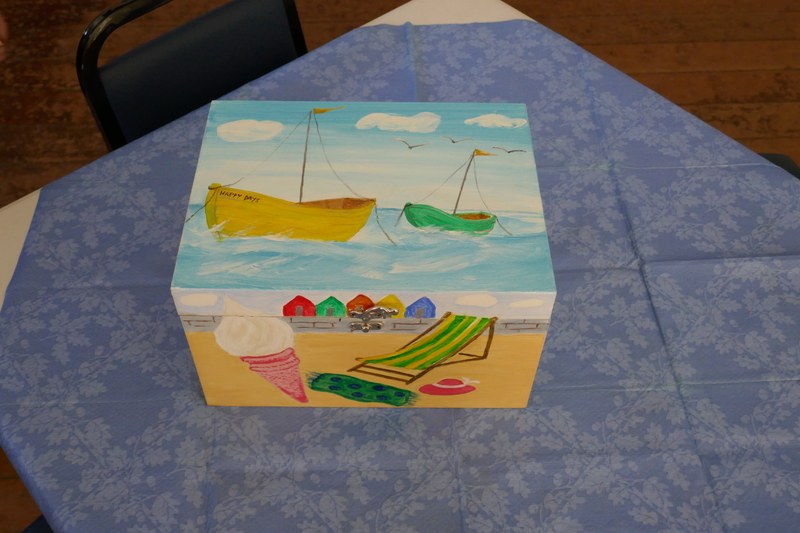 There are memory boxes for people to talk about at the Café and to borrow. 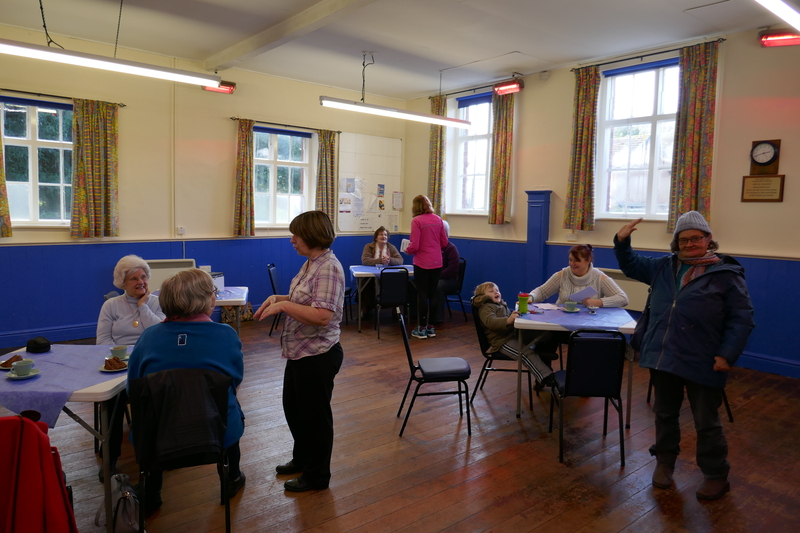 Lunch Club, Mothers’ Union and Spotlight have completed the one-hour Dementia Friends session to raise awareness in their organisations, and there have been sessions for interested individuals as well. If you would like to know more about these sessions, please get in touch. We are hoping to reach most village clubs, organisations and businesses. As well as enjoying the tea, coffee and cakes at our Guilsfield Gets Together on Friday 21st December, we all enjoyed singing some Christmas Carols, including ‘ Silent Night, Holy Night’, ‘In the Bleak Midwinter’ and ‘Away in a Manger’; with many thanks to Bethan for playing the piano for us. 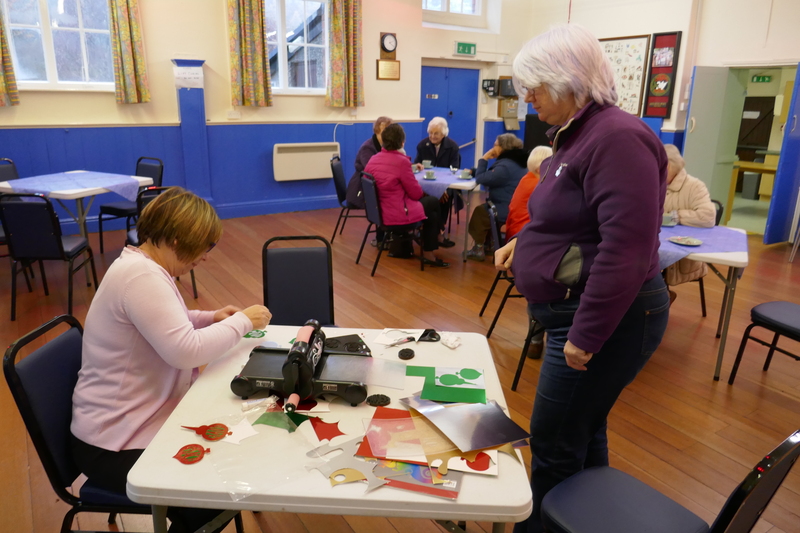 At Guilsfield Gets Together on Friday 23rd November, in addition to the tea or coffee and wonderful cakes, we had great fun making Christmas tree decorations. Enjoying a chat over tea, coffee and cakes. From the Alzheimer’s Society, there are seven actions that came up most often in their research among people affected by dementia. They are simple actions we can all take in our everyday lives which, while they might seem small, will have a big impact. See Actions Speak Louder than Words. 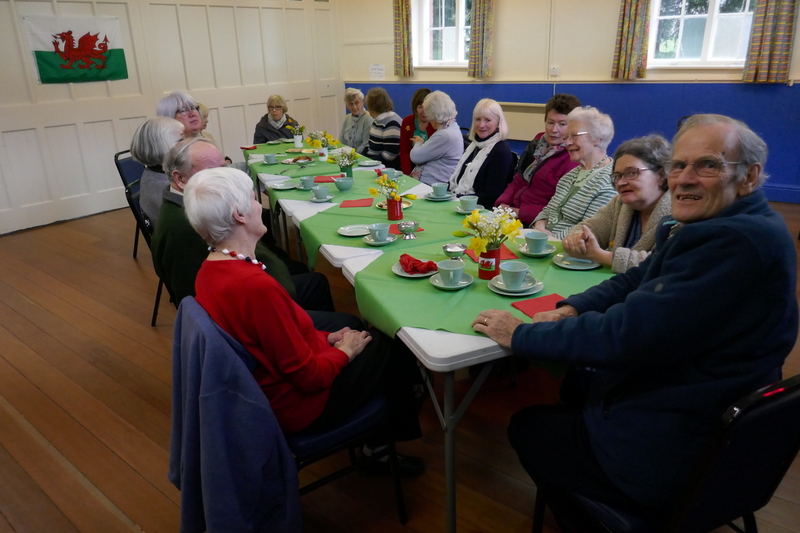 The Dementia Friendly Guilsfield monthly ‘Forget-Me-Not’ Café has been renamed ‘Guilsfield Gets Together’. All welcome; please do come along to the Old School and enjoy the cakes; £2 per person. 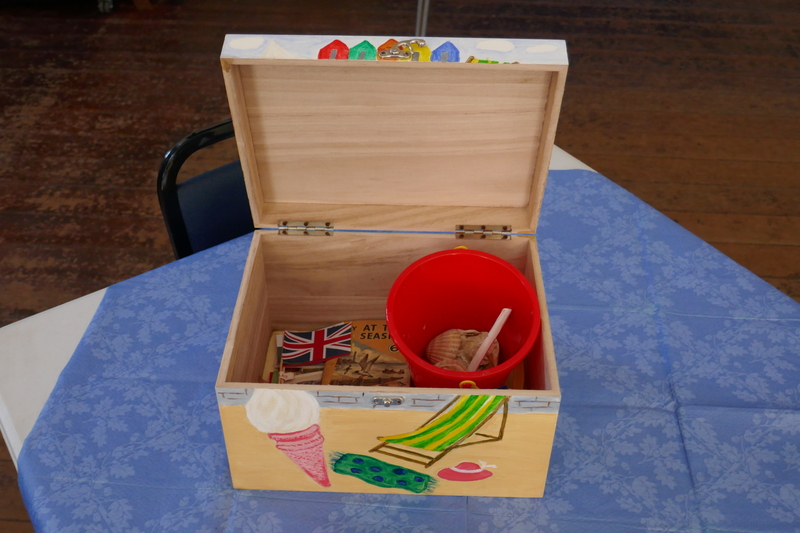 “Guilsfield Gets Together’ will be held monthly on the first Friday of the month and has now moved to the morning 10:00 – 11:30am in the Old School. Why not come along and have a cup of coffee or tea and piece of cake and enjoy a chat with friends. 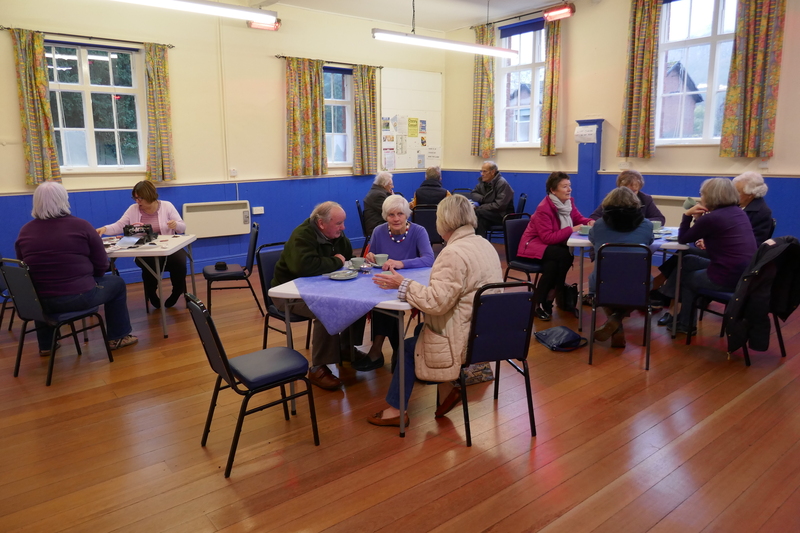 The Church held a very successful coffee afternoon in conjunction with Guilsfield Gets Together(formerly Forget-Me-Not Café) on Friday 28th September to raise money for McMillan Cancer Support. See here for more details, pictures and amount raised. 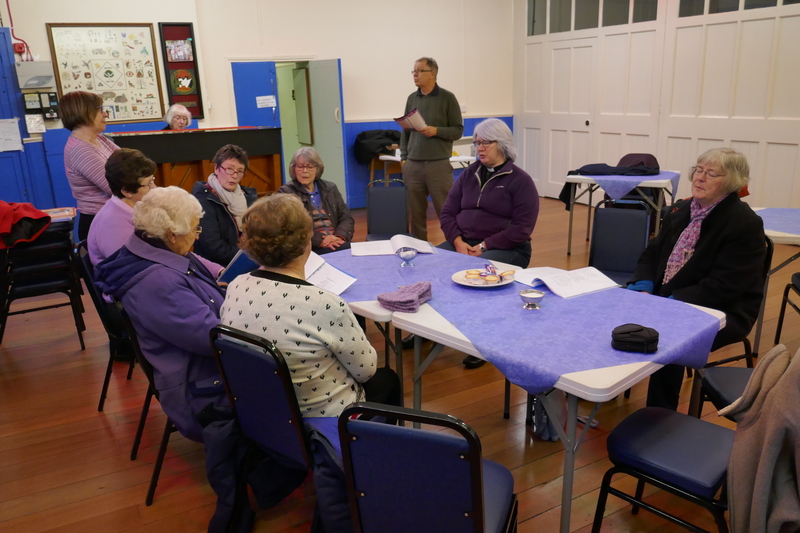 The first ‘Forget-Me- Not Café of 2018 was held on Friday 26th January. The company and chocolate cake was enjoyed by friends of all ages and someone even ran 17 miles to join us. 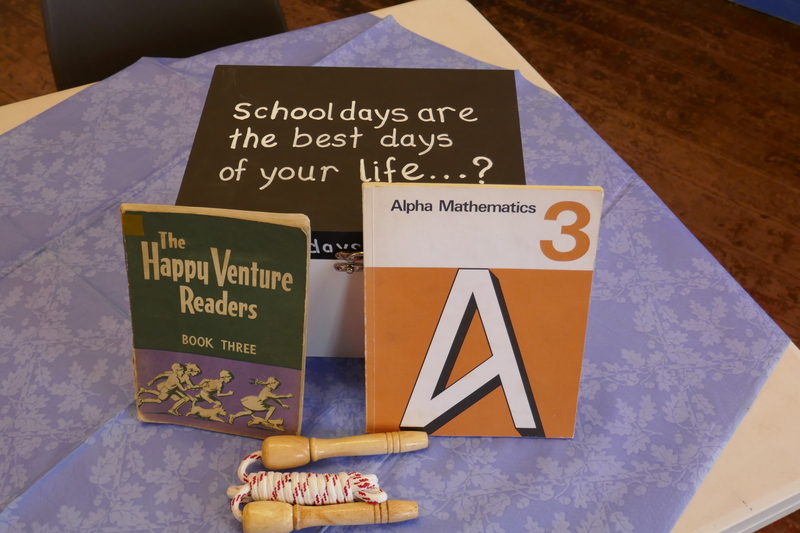 The first of the memory boxes: ‘School Days’ was on display but more suitable items are still required to complete this; we plan to develop more of these on different subjects over the coming months. These will be available to borrow. 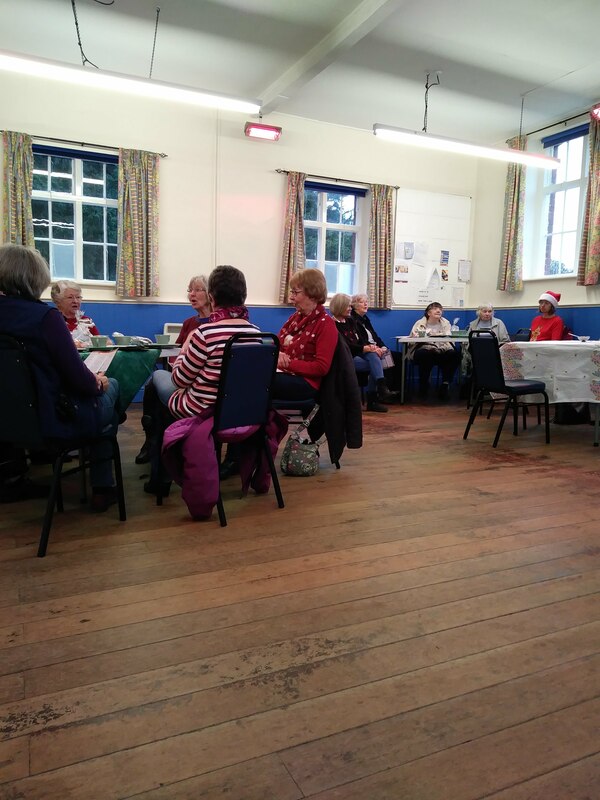 Dementia Friendly Guilsfield held their monthly cafe in the afternoon on Friday 22nd December. As well as enjoying coffee, tea and mince pies, the customers also had great fun singing a selection of traditional Christmas Carols. 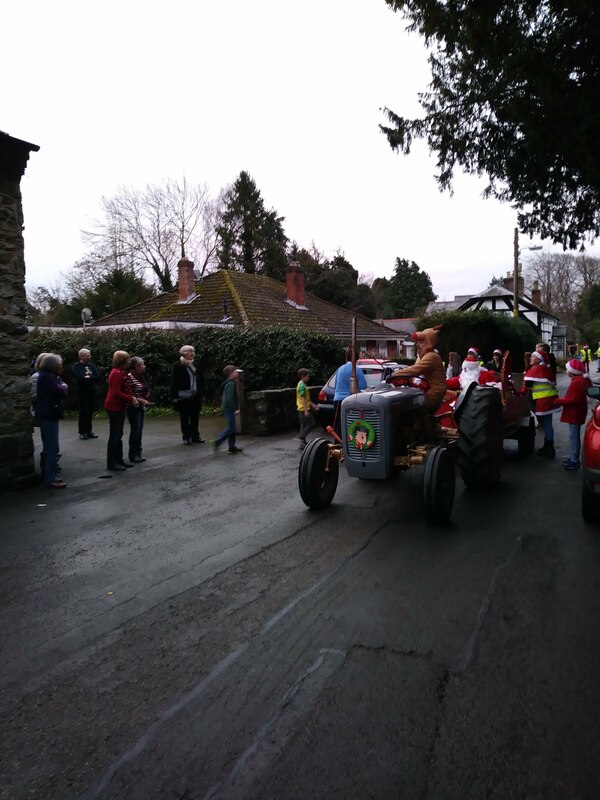 Not only were they then treated to a visit by Father Christmas who pulled up outside on his sleigh drawn by Rudolph on an old grey Fergy tractor but also received a little gift of a small bag containing traditional stocking presents of a satsuma, liquorice catherine wheel and a sugar mouse. Also see DFC Newsletter6 North and Mid Powys for further information on Dementia Friendly events in North and Mid Powys. For more information from the Alzheimer’s Society visit their website at www.alzheimers.org.uk.